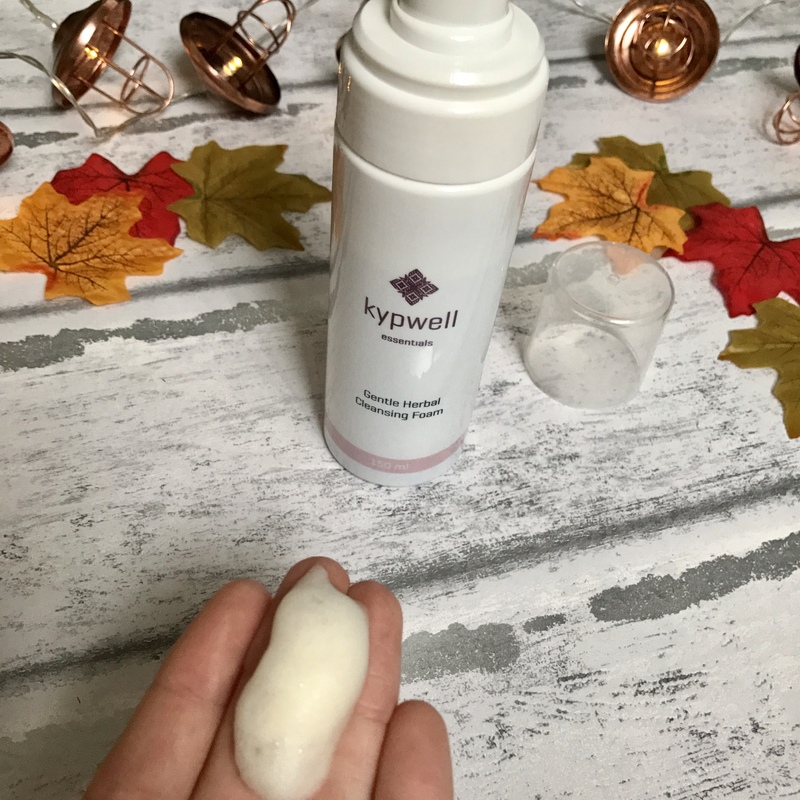 Kypwell essentials kindly sent me* their Gentle Herbal Cleansing Foam and their Deep & Regenerating Face Scrub and I can honestly say I have been using them religiously for the last couple of months. These are the perfect duo skin care products to use during the colder months as they will buff away any dryness and moisturise your skin. 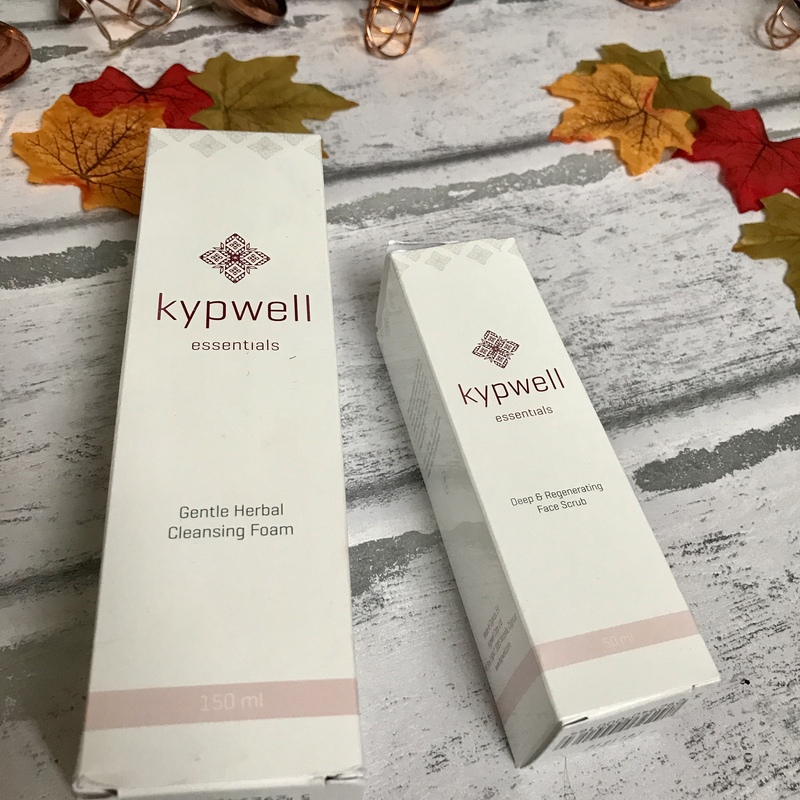 Kypwell are a brand from Cyprus and their products include herbal teas. The Gentle Herbal Cleaning Foam is €38 which works out around £33.95 and the Deep & Regenerating Face Scrub is €34, works out around £30.38. Both products are going to be really great for the colder months coming up as they will definitely take care of your skin, they will buff away any dryness and keep your skin very moistuised. The packaging of the products is made from cardboard, the tear in the top of the box is from me (I got too excited and opened it before I took pictures) it is a sturdy cardboard, the products inside aren’t too heavy for what the box can handle. I like that their colours are white and pink, I think this is really cute. The outside of the packaging is shiny which makes it look really slick. The Cleansing Foam is 150ml of product, which i think is more than enough product. You only need about 2 squirts, maybe even less and it will do your whole face. The Face Scrub is only 50ml, which for £30+ I would have thought that their would have been more product. My favourite thing about these products is that they both, the facial scrub more so, smells LIKE A CHRISTMAS CAKE! I am not even joking, they have such a strong scent of a Christmas cake. So if you love Christmas cake, maybe this will draw you in? I like the packaging of the bottles, they are the same as the box packaging but just on a bottle. I like how it is really simple and isn’t covered with text and pictures on the front. I like that it has a pump because I always find these sort of nozzles better, it reminds me of a fake tan bottle. It is really easy to pump out product and alot comes out at one time. The foam is a cream colour and it is really foamy. When you rub it on your face it is still foamy but it turns into a creamy consistency. I like this product as it gets rid of all of the junk that might be left on my face and makes it feel SO soft! This is why I love foam facial products, they always moisturise my face really well. This one does a good job of cleansing it but adding moitsure too. Face scrubs are my favourite skin care products to use on my face. I love the way they make my skin feel and I love that they buff away all of my dry skin. I especially love this one 1) it smells really strong of a Christmas cake 2) since using it, I have noticed that it clears my skin up alot and I like that it is really gritty. I like really gritty face scrubs, I always think that they do a better job at really scrubbing my face. If I have abit of dry skin around my nose, I can scrub it using this and it will instantly buff away the dry patches. As you can see the colour is like a greeny brown, with brown sand granules in it. IT EVEN REMINDS ME OF A CHRISTMAS CAKE AND I DON’T EVEN KNOW WHY?! This one makes my skin really clear and I notice the difference from using it before and after. I didn’t have alot of blemishes on my face and alot of my spots cleared up. It just made my skin feel and look healthy. This really quickly became one of my favourite face scrubs, I even stopped using my go to, St.Ives, because I loved this face scrub so much. The only downside is the price, I think there could have been more product for this price. Overall, both skincare prodcust are fantastic. They have helped my skin get through these colder days and I look forward to carrying on using them. 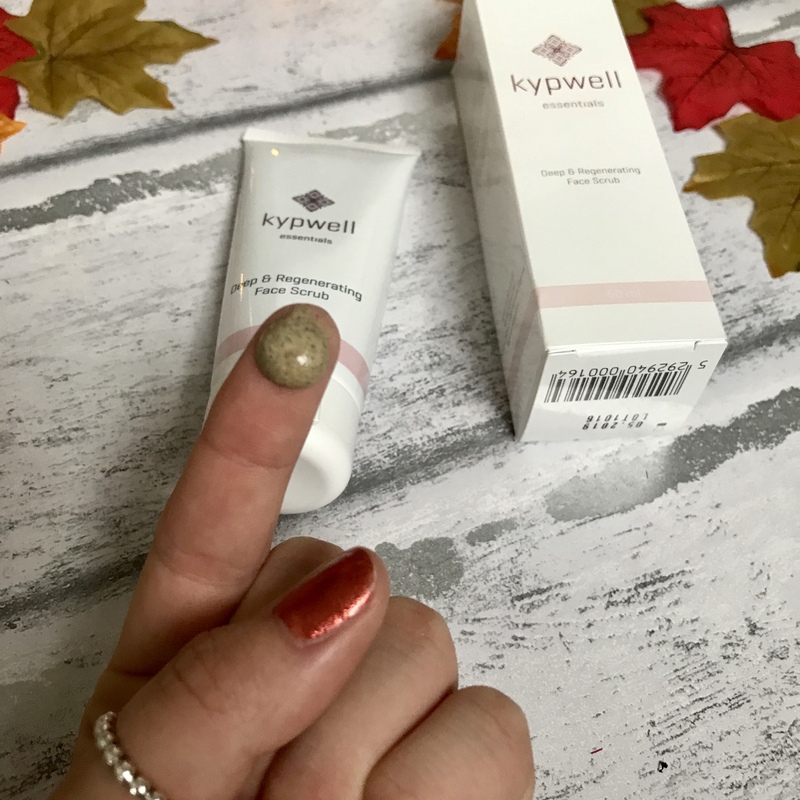 Thank you kypwell for sending me these amazing products. Great post. I have never tried this range of creams. I love the texture and how incredibly informative this post was. Thanks for sharing,winters are time for drier skins, but most of us still insist on using the same products we used in summer. Hello, any time. I hope it was of some use to you. I agree! That face scrub looks awesome. Too bad this company is UK based. I would give it a try if they had it here. These are all new to me. I don’t think I can get these in Canada. The cleansing foam looks really nice. Great post, I really enjoyed reading it! I love the packaging of the products and I’d like to try them sometime. Fab post, I’ve never heard of these products before, but loved how informative your post was about it! OOO I might have to try some! The face scrub looks really nice. This is a new brand to me. These products look so good but a tad too pricey for my budget 🙁 Are they organic? These look so nice! Christmas Cake? I bet that’s cool!